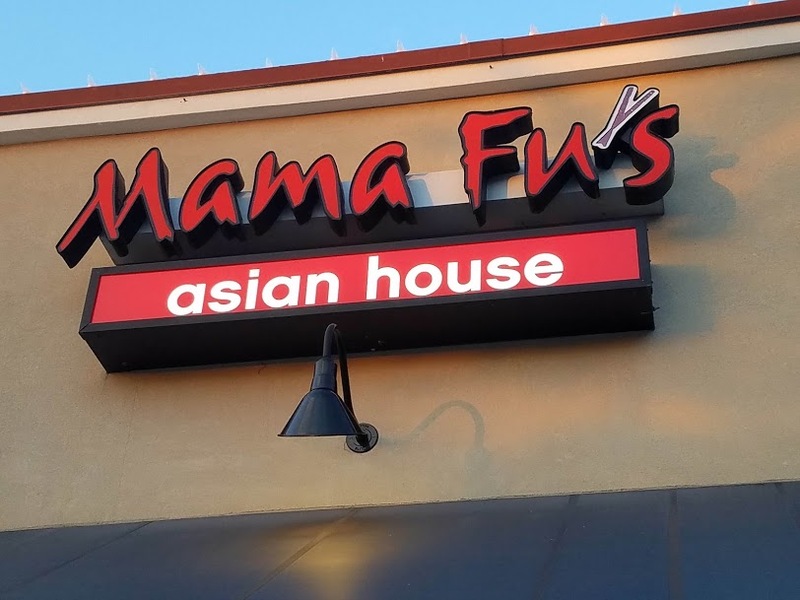 One of my readers reminded me “the only good Asian restaurant with Fu in their name is Mama Fu’s”. I had to laugh, it had been ages since last visiting this spot and he was indeed correct. A long time favorite in town, the only excuse for my absence is the distance. Craving Asian as I often do, and nothing on my calendar, I made the trek across town for a meal. 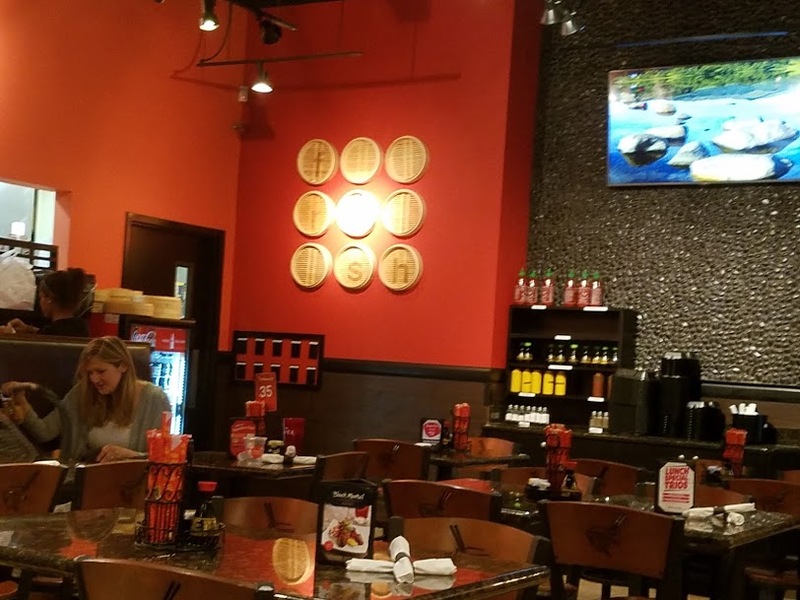 If you have not been, the set up is just like Pei Wei, read the wall menu order at the counter, get your number, a cup for your drink and take a seat, all will be delivered. The menu is also available at the register, but knowing what you want keeps the line moving when it is busy, as it often is.
. I took my number, selected my drink and waited. 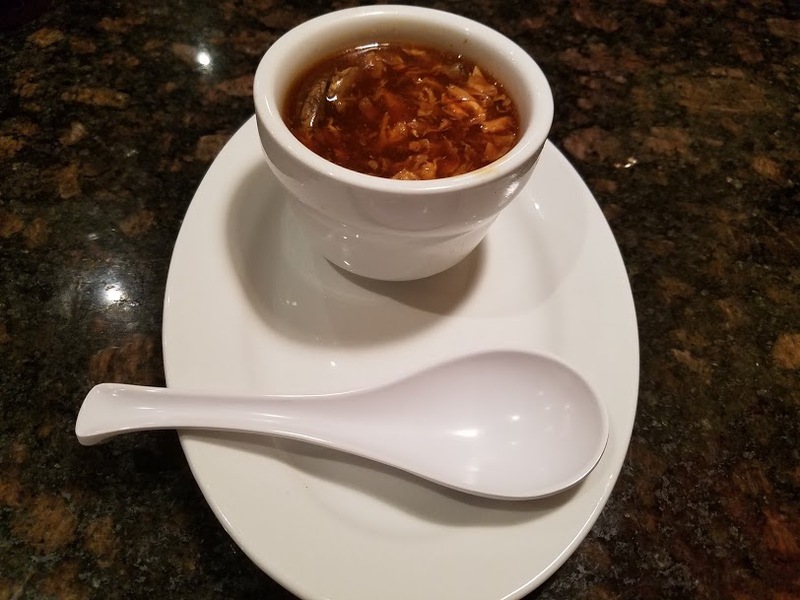 A cup of Hot and Sour soup arrived and at first glance was most appealing, sadly it looked much better than it tasted. Chocked full with chicken, beef, soft tofu, shiitake mushrooms, egg and carrots, flavored with vinegar in a thick peppery broth. There was nothing hot or sour about this dish. Tasting more like a mild stew instead of the tangy flavor I was hoping for. A total miss for me. 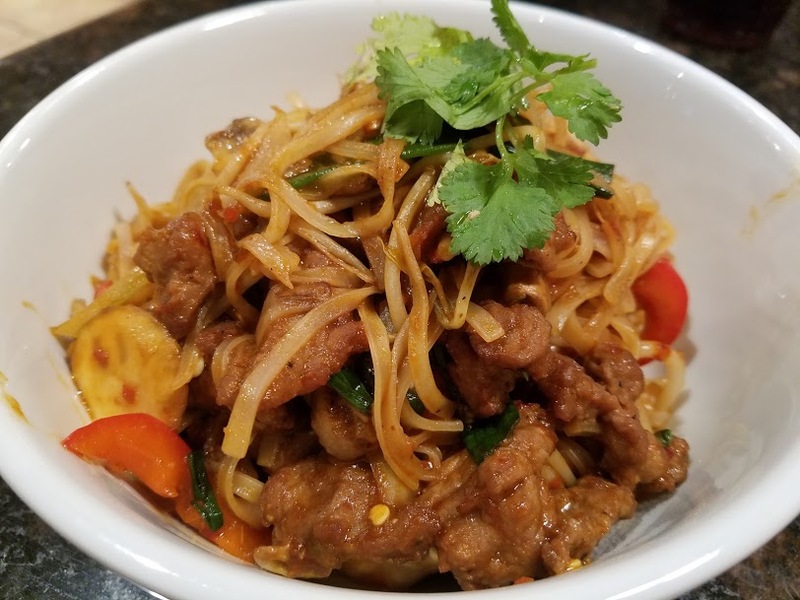 I was ready for my last selection Thai Basil Noodles, A sizzling combination of chili hoisin sauce, basil, white mushrooms, red bell peppers, onions, bean sprouts, scallions, and rice noodles, all tossed with a spicy Sriracha hoisin sauce and topped with fresh cilantro. Their heat level is 1 to 5; I went in at 4.5 and was hopeful this would make up for the soup. I was not disappointed. I chose the beef for my protein, which was a good choice. Meat tender and well flavored. If you like heat and noodles, this is a dish for you. The take away, I need to take more time to eat here when I am craving Asian. 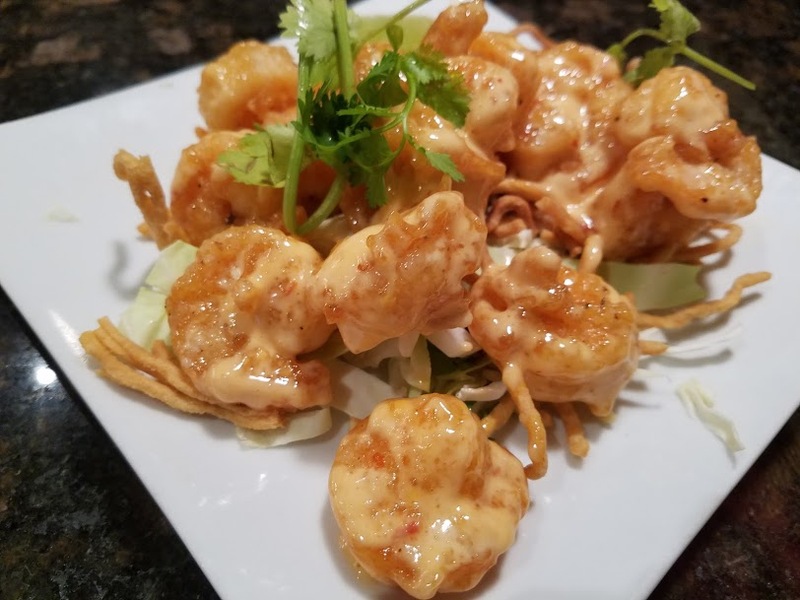 The drive is well worth the reward, staff is efficient and friendly, So treat your self to some great food, the menu is extensive, bring your besties and order tons of dishes, share and delight in the beauty of sharing. 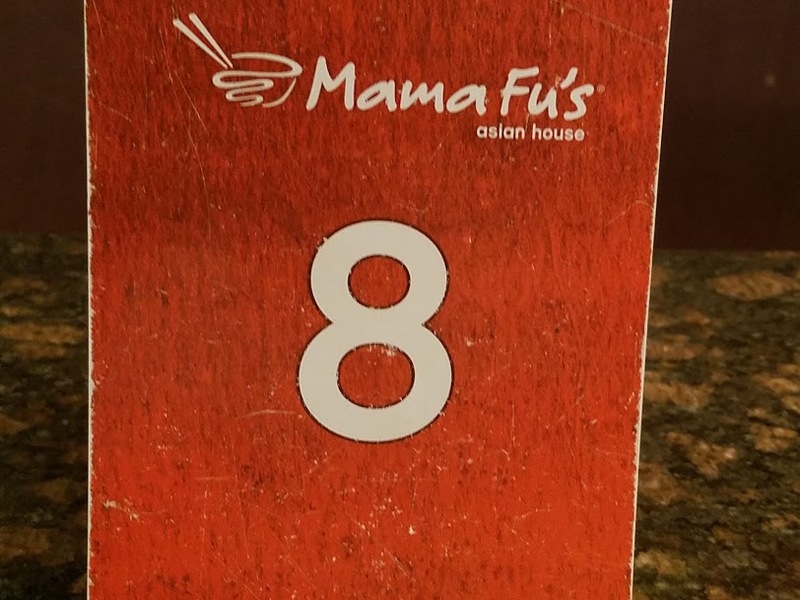 Mama Fu’s is only similar to Pei Wei in the ordering process. If you want to discover the real difference, try the Chicken Pad Thai or the Vietnamese Crunchy Noodles (Bird’s Nest) at both places. 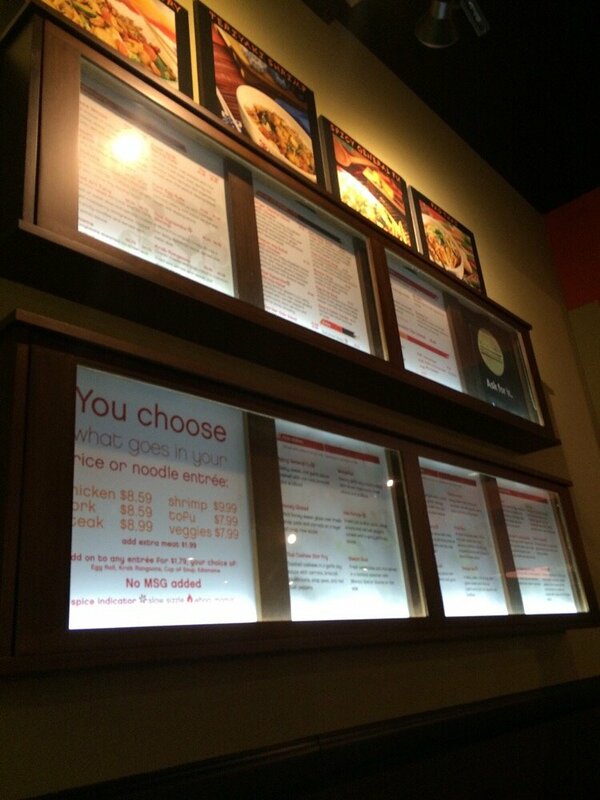 You’ll see why Mama Fu’s outshines Pei Wei. I do believe the statement was only “similar in ordering process”. There was never a comparison of food. Thanks for the feedback, and for reading.